Next month, the Arab spring, Québec student protests and the oldest women’s group in Québec will be among some of the many topics to be showcased from Nov. 13 to 24 at the Montreal International Documentary Festival. The festival will present 135 movies from 43 countries. “Students must know that all screenings before 5:00 p.m. are free for them during the week. They should not think that documentaries are only for the elite,” said Charlotte Sab, the director of programming for the festival. The 16th edition of the festival is the biggest of its history. It gives the opportunity for filmmakers to meet people from the industry and give them a chance to receive distribution offers through the Docu Circuit, the only bilingual market in North America for documentary professionals. The festival’s other mission, of course, is to present the films to the general public. Opening the festival is The Square (Al Midan) by Jehane Noujaim. 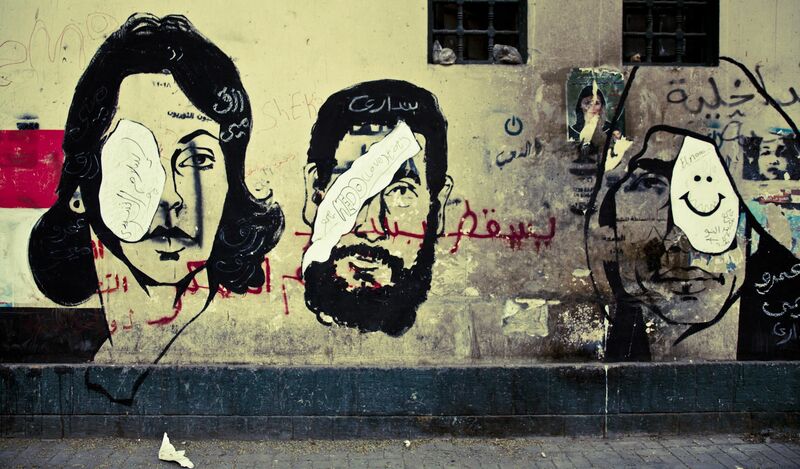 It is 99 minutes of almost all live documentary footage of the Egyptian protests. Starting from January 2011, where the protests resulted in the ousting of President Mubarak, to this year’s protests that saw the fall of President Morsi. On a similar topic, Vers Madrid (The Burning Bright!) by Sylvain George from France, revolves around the Occupy movement in Madrid. The filmmaker worked with only one camera to produce a newsreel depicting how people in the streets protested against global capitalism and the austerity budget in Europe. At the festival, there are several official competitions such as the International Feature Competition, where 12 films will compete such as E agora? Lembra-me by Joaquim Pinto. This documentary film won two awards at the prestigious Locarno festival in Switzerland. Pinto, who suffers from HIV and Hepatitis C, takes us through his journey of dealing with the disease, and his experience during clinical trials. Inspite of hardship, Pinto remains strong, battling with his diseases on film—all for the art of the documentary. In the Canadian competition, the world premiere of the documentary À jamais, pour toujours by Quebec’s Alexandra Sicotte-Lévesque, should not be missed among the 11 others in this category. The documentary presents the religious tensions between southern Catholics and northern Muslims in Sudan. Finally the International Short and Medium-length competition, with 20 films, concludes the competitions. A short film, Da Vinci by Yuri Ancarani, is about incursions in the human body. The film documents surgeries conducted by robots, and shows how live surgeries are performed. It is one of the must-see projects. The closing movie is quite different and aims to make you laugh. Fermières, by Annie St-Pierre from Québec, presents the oldest women’s group still in existence, Les Cercles des Fermières du Québec. During the course of one year, the film follows the president and members of the group in the preparation of activities, the nature of their meetings, and even the preparation of their recipes. The festival offers more than just documentaries. Debates, discussions, photo exhibitions and around 20 free concerts are held at the festival’s headquarters on 3450 St-Urbain Street. The festival wants to let the public participate in projecting the films. This is why, every night from 6:00 p.m. to 11:00 p.m., an interactive installation, Kino-Pedals at the St-Laurent metro exit, will make the audience pedal to let the shorter films roll.